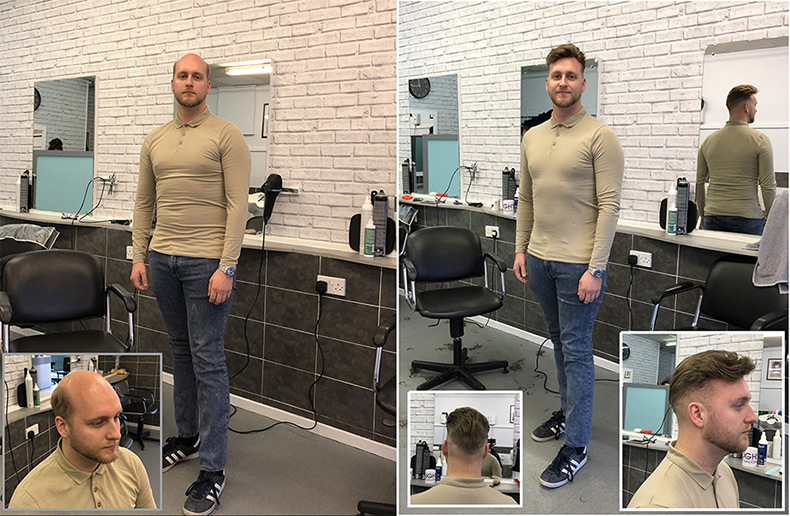 With over 25 years experience we specialise in the answer to your hair loss - hair replacement systems - each is custom cut and styled to suit you - full head of natural hair! Our non surgical hair replacement systems are among the best, and the clients we provide those products to come from up and down the country to attend our clinic in the city centre of Wolverhampton. If you are suffering from male hair loss – whether it’s male pattern baldness or a condition of another kind – we can provide the solution. We have thirty years in the business, so we have the experience to back up our products. Clients from across the whole of the UK travel to us. So what is hair replacement systems and how can it replace hair? The systems of the kind discussed are not wigs or toupees in the traditional meaning of the terms. It is a natural hair replacement treatment, and it is completely unnoticeable as a cosmetic attachment – it looks entirely natural. Not only that, but it can be styled in any way you like – whether your own hair is styled that way, or you want to change your image a little. The benefits of the system include a boost in confidence. This is because the system is custom made for your own head, and for your own kind of hair loss. It is tailored to you, and as such it matches your hair colour and your style perfectly. David Hough has over 25 years experience as well as travelling the globe as a British & European championship judge. 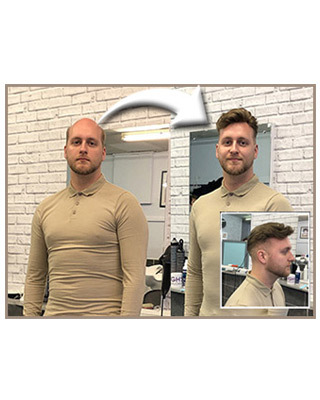 Whatever type of male baldness you are experiencing we can provide the best non-surgical solution with fantastic natural results - all our systems are cut and styled to suit you, blended with any existing hair and are un-noticable. Hair replacement systems take a number of forms. 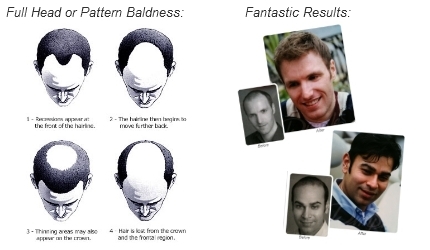 A hair loss specialist may examine your scalp and create a mould that replicates head shape exactly. This may then be essentially mapped to allow what hair remains on the head to be considered before the mould or its specifications are sent to a production plant. A permeable cap may then be created with hair in places where the hair of the hair loss sufferer is at its most patchy. The hair will take in such aspects of hair as orientation and the angle of the hair too.Hair replacement systems don’t have to be as advanced as this to be effective.Hair replacement systems include heat friendly wigs that can be taken to hot environments. Some wigs may be oppressive in hot climates, although they will be hardly noticeable in colder environments. However, other wigs will allow the scalp to breathe. It is rare that a wig will be so heavy on the head as to be discernible, but extremely hot weather may be considered when it comes to hair replacement systems. The wigs and hair replacement systems available today in your local hair loss clinic are built and designed with comfort in mind, whatever weather you are expecting.Many kinds of wig come with instructions about how to keep the wigs clean – you can even wash some wigs. 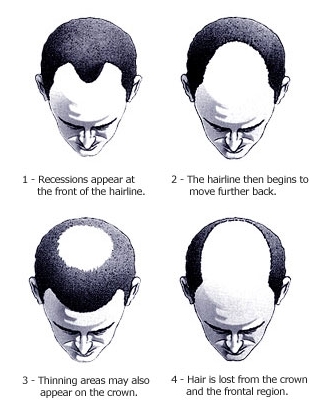 Your hair loss specialist will design a hair replacement system with your lifestyle in mind. For example, if you require a wig that requires little maintenance, this will be considered by the wig specialist.Wigs today can be a cost effective investment if they are properly maintained. Wigs can benefit from being rotated and rested if you have more than one. As with all products, the lifetime of a wig can depend on how it is maintained. Contact us for advice or to make an appointment for a free consultation. These are carried out discreetly in the privacy of one of our cubicles. Our clients believe we are worth coming to – even from long distances – because they know that we provide the highest quality service.